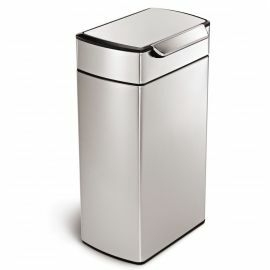 This elegant slimline bin from Simplehuman has a unique touch bar lid which provides for easy opening – a simple tap from any angle with your hand or even a nudge with your hip or knee. The CW2016 provides 40 litres of capacity it is suitable for almost any situation. Its sleek, narrow footprint makes it particularly efficient for tight spaces. The minimal styling looks discreet in any interior and the narrow footprint will fit tight spaces. 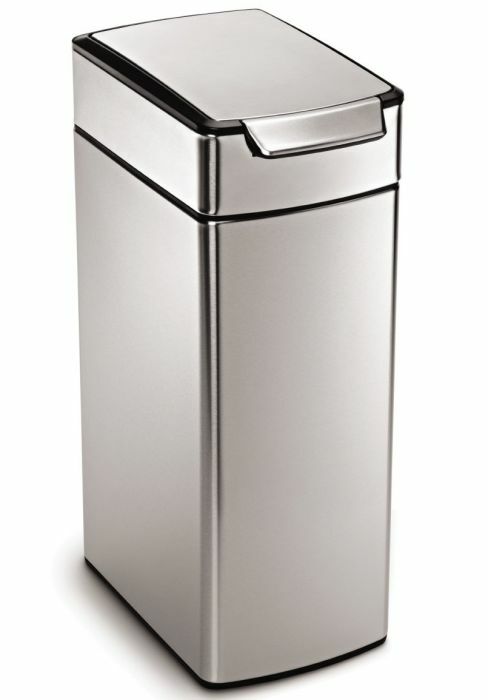 Made of strong stainless steel this Simplehuman CW2016 Touch Bar bin looks smart and stays that way with its fingerprint-proof coating that rebuffs finger marks. The Internal slim profile hinge means the bin will fit flush against the wall or island unit, for efficient use of your space. The lid opens widely without hitting the wall. 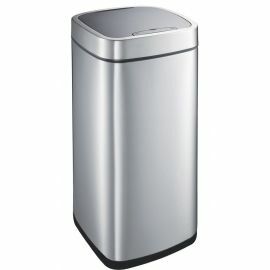 For extra capacity or to create a large recycling-station group two or three slim bins together. 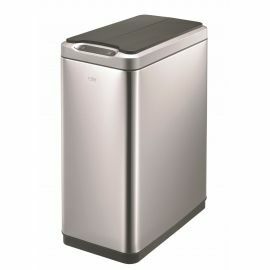 The bin uses Simplehuman custom-fit M Liners (CW0261) liners which are tailored to give a snug fit. Body and lid in fingerprint-proof brushed stainless steel. Inner bucket in durable black plastic: easy to clean. Non-skid base has rubber pads: kind to floors.